This exercise is essentially identical to the one performed last year for the twelve years of data then available. 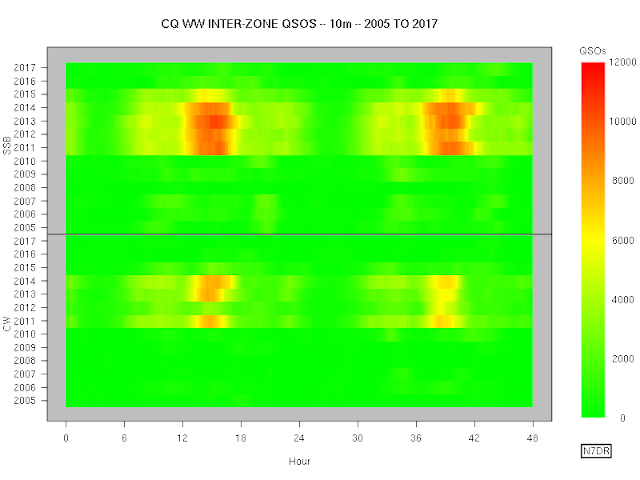 I present the results without comment. 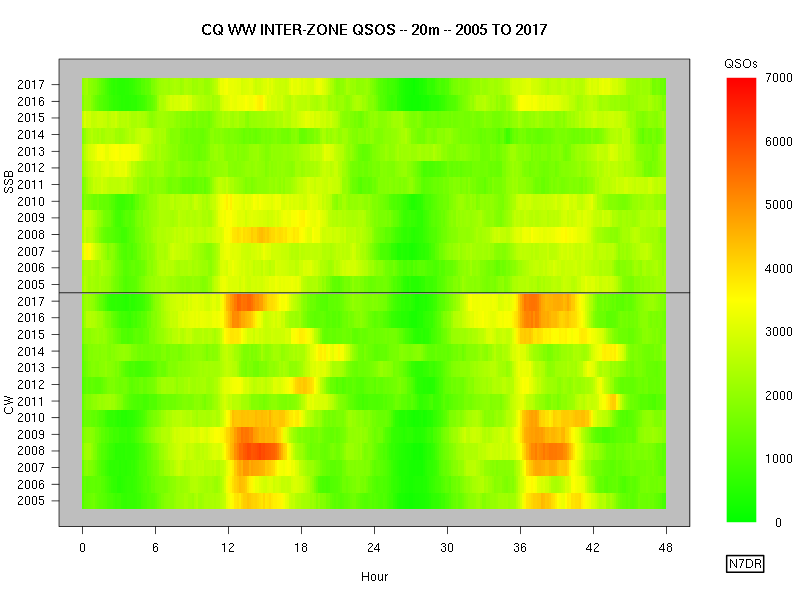 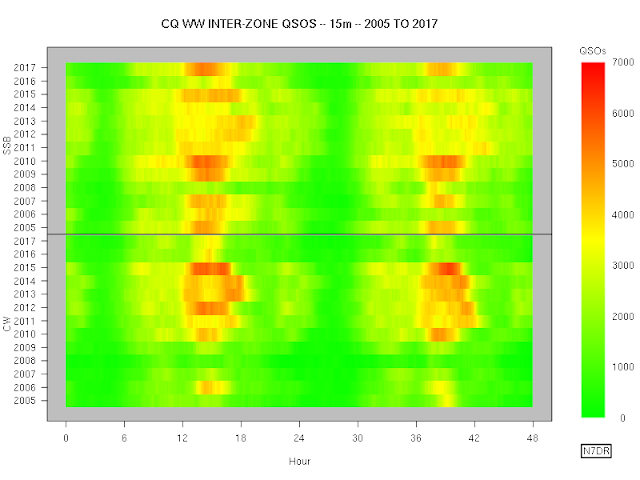 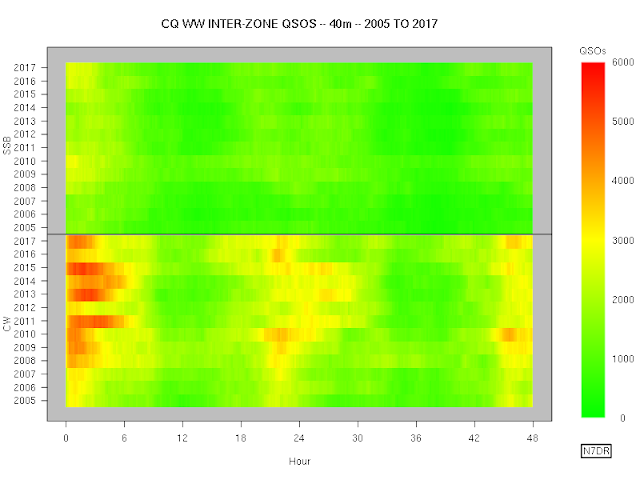 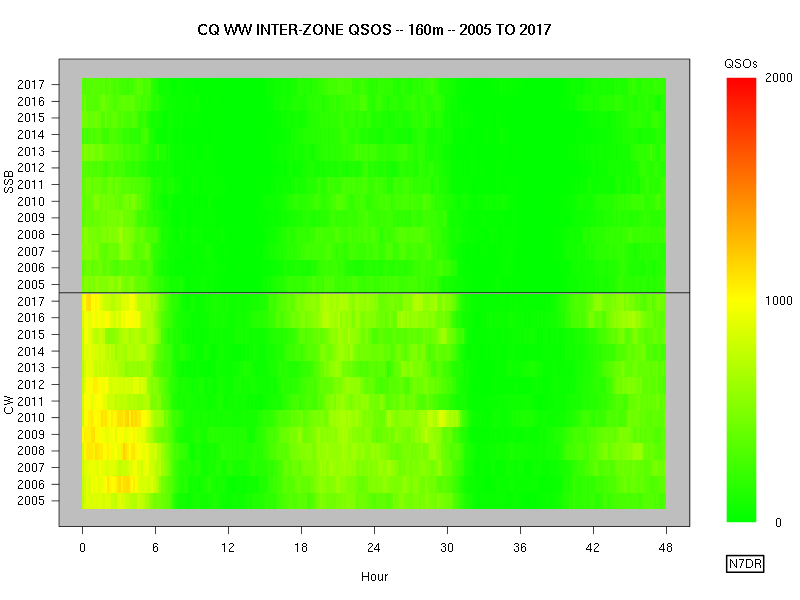 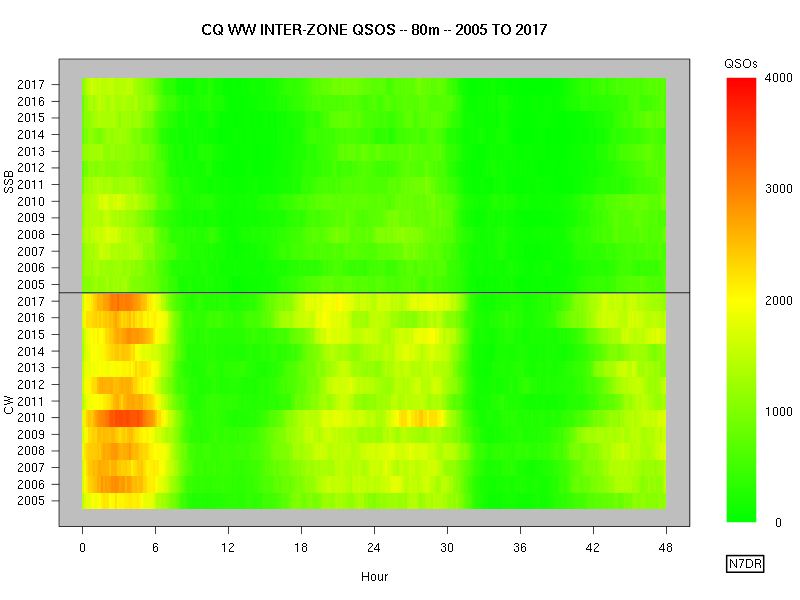 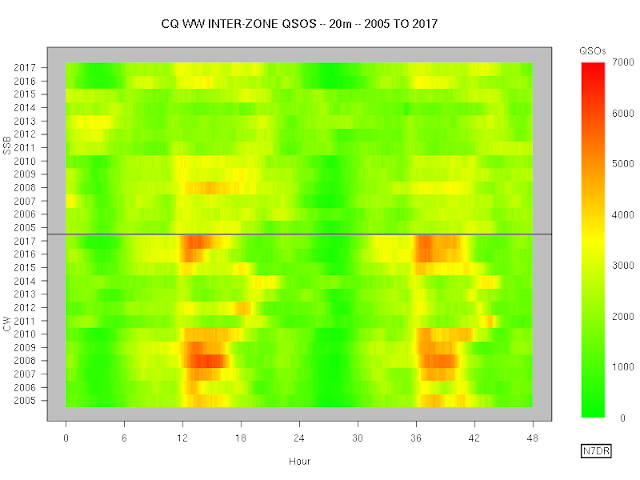 In regard to the 10m results, I should point out, as I did last year, that the CW contest occurs roughly a month after the SSB one, and is therefore considerably closer to the winter solstice, with the concomitant decrease in the number of hours of common daylight between Europe and North America (particularly western NA). 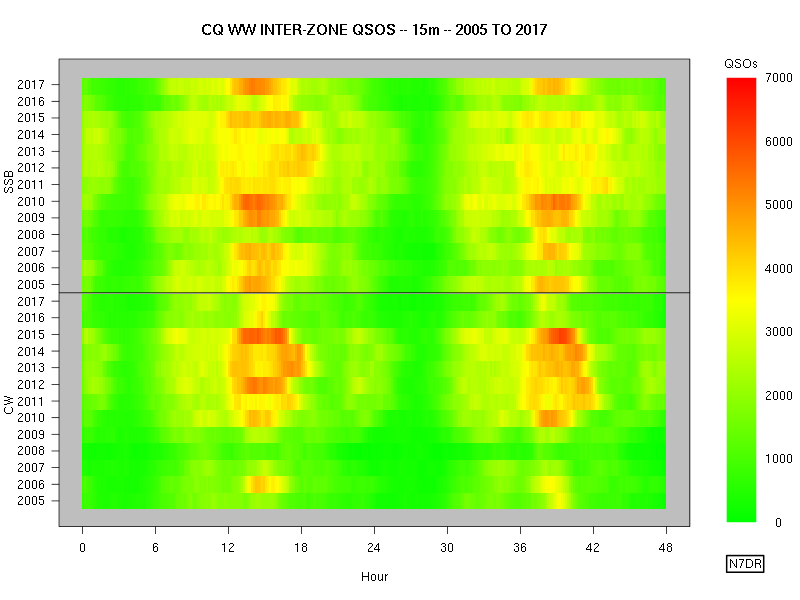 I have long wondered what would happen if CQ WW (and CQ WPX and ARRL DX) would switch CW and SSB weekends every year.